When it comes to large family vacation rentals in Big Bear it pays to go local. Grand homes perfect for the family get together, holidays or a visit during your favorite time of the year. Our Big Bear vacation rentals come fully equipped so you don't have to bring a thing, except the fun... and maybe some clothes. While each vacation rental is unique as every home is unique, they all prepared the same way, fully stocked with linens, spa amenities, basic cookware and dishes and then depending on the size or layout may have spas, billiard tables, game tables or more. Big Bear is a unique place. Some think of the resort as a summer destination especially for fishing, hiking and playing on the lake like in the water park. You can rent boats of all kinds or just sit on one of the many beaches. Some guests think of Big Bear as a winter retreat for skiing, snowboarding, building snowmen and horseplay in the snow. 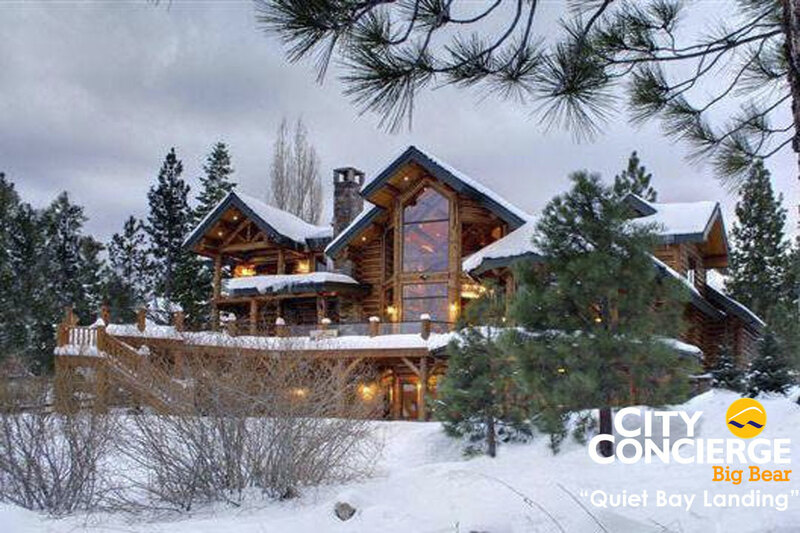 Winter in Big Bear brings back the charm of the east coast, and our vacation rentals make the perfect retreat. Plan you next vacation to Big Bear with City Concierge. You'll get personalized service, the best choices of properties available, and you won't have to pay service fees and unnecessary fees that the national sites charge. You save by going local. Enjoy. You can reach us at 866-864-6444 - Homes like this are not online!